Some time you just have an itch you can’t scratch. It happens. We have gone along in life and accomplished some goals and objectives. 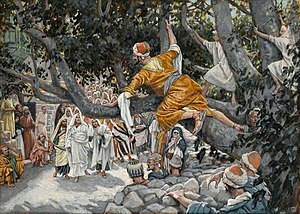 Maybe we are the “chief” of this or that, and like Zacchaeus are wealthy. But there is something missing, something slightly off – we thought it would different after we accomplished goals. It is the thought we just can’t put our finger on. It is the itch we can’t scratch. Finding the Lost…and then what?